It Was A Company With A Lot Of Promise. Then A Chinese Customer Stole Its Technology When a Chinese wind turbine maker stole vital trade secrets from American Superconductor, the damage was enormous. The theft cost the firm hundreds of millions of dollars and resulted in mass layoffs. Pigeons fly past the company logo of Sinovel Wind Co., Ltd. outside its head office in Beijing, in 2011. In January 2018, Sinovel was convicted in the U.S. of stealing trade secrets from American Superconductor. "People were shocked," says Tron Melzl, a product manager in one of the company's Wisconsin offices. "We were adding additional staff to the company due to growth in the business. We actually had some people who had been on the job for just a couple of days when this announcement happened." It was the start of a long, painful ordeal for the company, one that would temporarily leave it in perilous financial shape and written off for dead by Wall Street. As the Trump administration prepares to do battle over intellectual property theft by China, what happened to American Superconductor underscores the risks that foreign firms may face when they do business in that country. Within weeks, the company concluded that Sinovel had somehow obtained the source code for its electronic components and was installing a pirated version in the wind turbines it sold. "American Superconductor provided sort of the brains of the turbines, so if Sinovel could do it themselves, using cheaper components, yeah, they could produce these turbines more cheaply," says Assistant U.S. Attorney Timothy O'Shea, who would later prosecute Sinovel in federal court. American Superconductor's CEO, Daniel McGahn, says what happened didn't come as a complete surprise — he knew that intellectual property theft was always a big risk when doing business in China. But the components sold by American Superconductor featured sophisticated encryption technology, and the company was pretty sure that no one at Sinovel could have cracked its source code. Instead, someone at American Superconductor had to have illegally leaked its technology. "We looked inward and said, 'Who would have access, motive and capability to do this?' And then we looked at the travel to China and being present and all that, and it really came down to one person," McGahn says. A 2013 indictment alleged that an engineer at the company's Austrian subsidiary, Dejan Karabasevic, was given a multi-year contract worth $1.7 million by Sinovel to steal his employer's trade secrets. The money essentially doubled his salary, the indictment said. "If you look at what the executives of the Chinese company made, they're offering him more money than they make themselves. And they're not doing that because they want him to be a consultant. They want him to steal," McGahn says. Text messages sent over Skype by Karabasevic were presented in court, suggesting he was angry about his treatment by the company and wanted revenge. "I feel like someone who failed a lot, like a loser, but I know it is temporary and all of the people who laugh now will stop laughing later when I leave," he wrote in the months before quitting, according to a Skype message presented as evidence. Sinovel did not respond to a request for comment. But the company argued in federal court that it had severed its relationship with American Superconductor because it had failed to live up to its contract. Sinovel also said that no evidence existed that Karabasevic had taken the source code without authorization, and that the Massachusetts company had failed to take adequate steps to protect its source code. Still, a federal jury in Wisconsin found Sinovel guilty of stealing trade secrets on Jan. 24. The Chinese company will be sentenced in June and is likely to face a hefty fine. Even as American Superconductor was pursuing Sinovel in court, the alleged theft led to a dramatic downturn at the company. 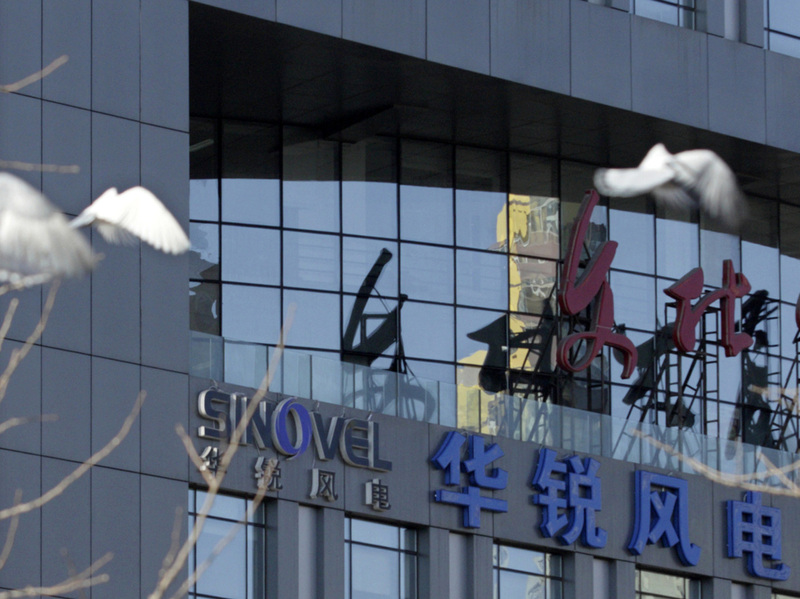 With Sinovel no longer honoring its contracts, revenue plummeted from more than $100 million in the first three months of 2011 to just $9 million the next. The company's share price plunged, and Wall Street analysts predicted its days were numbered. Like a lot of startups, American Superconductor had lured employees by offering stock options, which were now worthless. Over the next few years, the company would be forced to shut down a Wisconsin facility and move to a much smaller headquarters building in Massachusetts. It also would lay off hundreds of employees, dropping from a workforce of nearly 1,000 to fewer than 300. "It really did shake the company up. It seemed like every month there was another layoff," says Jack McCall, director of superconductor cable systems, who had worked at the company since 2007 but eventually left to take another job. "There was just an awful lot of concern, anger. Nobody was sure their job was going to be there." Even as it struggled to survive, American Superconductor was fighting back against Sinovel, taking its complaints about the theft to the Chinese government, part-owner of Sinovel. Nothing happened, McGahn says.The company also complained to the Obama administration and Congress. Today, American Superconductor remains a smaller company than it was in 2011, but has survived, having successfully broken into some important new markets. It does very little business in China. McGahn is sometimes asked by other executives about the Chinese market. He tells them China is a trap. "The rules are set up in a way that the local brands will win," he says. "Participation in the Chinese market is for Chinese companies only. Your participation as a Western company, at least to date, is a mirage. They're there to bring you in, be able to figure a way to harvest whatever they can from you, and then spit you out when you're no longer useful." McGahn applauds the Trump administration's efforts to get tough on China over trade issues. "President Bush and President Obama — they had very strong words with China about intellectual property theft," he says. "This is the first time there are consequences ascribed to the Chinese behavior." "I do understand that a lot of people think this is a trade war," McGahn adds. "This isn't the beginning of a trade war — this is the next battle in a trade war that's more than a decade old."